29 gauge steel with a baked on finish in a variety of colors. All of our carports have a 12 gauge 2 1/4" square tubing frame for increased structural strength. 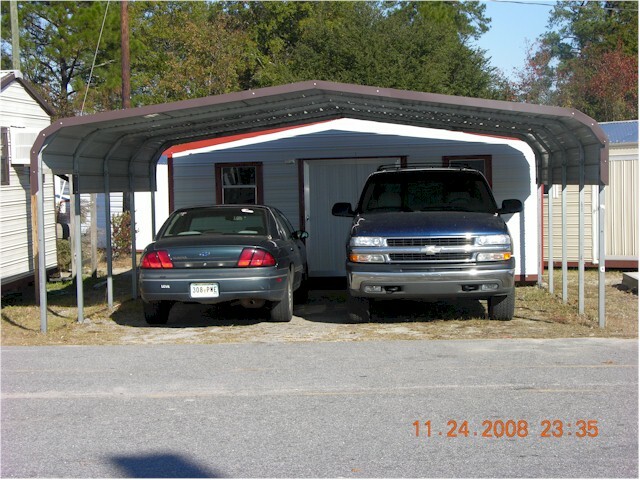 These carports can also be used to cover campers and motor homes. Enclosed units also available. This unit is a 20x20x6.